Herlings and Covington Top the MXGP of Turkey. 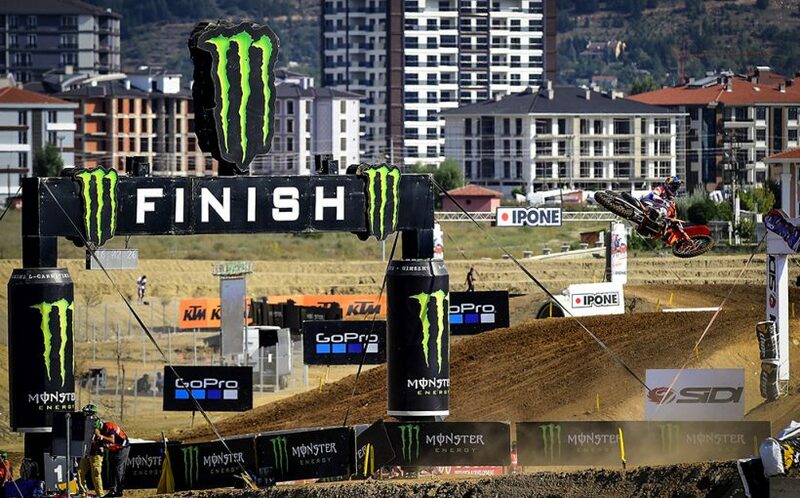 For the first time the FIM Motocross World Championship has race in Afyon, Turkey. The MXGP of Turkey’s new circuit crowned its first winners today, Red Bull KTM Factory Racing’s Jeffrey Herlings and Rockstar Energy Husqvarna Factory Racing’s Thomas Covington. 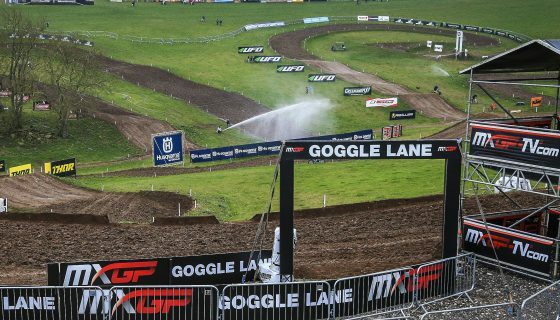 The racing kicked off with a bang from the start of the first MX2 and ended with a surprising second MXGP race. Later filled with battles on track the day first started with an opening ceremony on the MXGP podium. Joining in the event to open the first MXGP of Turkey in Afyon was Youthstream Vice President Mr. David Luongo, FIM Europe President Dr. Wolfgang Srb, FIM/CMS Director Tony Skillington, Ministry of Sport and Youth Representative Omer Altunsu, Governor of Afyonkarahisar Mustafa Tutulmaz, Senator of Afyon Dr. Veysel Eroglu, Mayor of Afyonkarahisar Burhanettin Coban, Tourism General Director of Afyon Irfan Onal, TMF President Yunus Bekir Ucar, along with 5-Time Supersport World Champion and Senator of Sakarya Kenan Sofuoglu among many other Official representatives from the municipality and the Parliament. Red Bull KTM Factory Racing’s Jeffrey Herlings continues on a roll towards his first MXGP World Championship title. Today was another impressive showing from the Dutchman who did exactly what was required to win. Race 1’s start was a close fought battle between Herlings and Team HRC’s Tim Gajser and while the Slovenian took the Fox Holeshot Herlings was into the lead by turn 2. Red Bull KTM Factory Racing’s Glenn Coldenhoff was just behind Gajser but lost spots quickly to Monster Energy Kawasaki Racing Team’s Clement Desalle and fellow Red Bull KTM rider Antonio Cairoli. By lap 2 Cairoli was up to 2nd past Desalle while Herlings pulled away at the front. Monster Energy Yamaha Factory MXGP’s Jeremy Van Horebeek took 5th away from Coldenhoff on lap 4 but made no further progress. 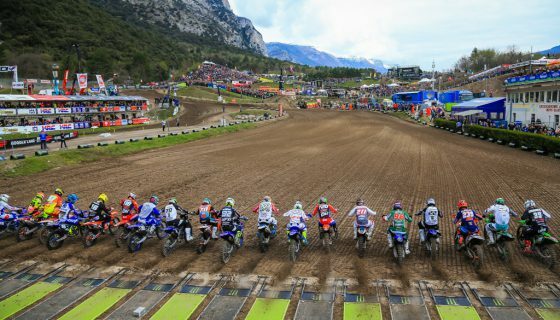 Cairoli made his way around Gajser just after the finish while Wilvo Yamaha Official MXGP’s Jeremy Seewer was also moving up a spot to 7th past Rockstar Energy Husqvarna Factory Racing’s Gautier Paulin. At the finish it was a win from Herlings with Cairoli just over 25 seconds back then Gajser, Desalle, and Van Horebeek. MXGP Race 2 was led by Herlings again just after the exit of turn 2 but Desalle was the winner of the Fox Holeshot for his first time this year. Also getting around the Belgian was Paulin while his Rockstar Energy Husqvarna teammate Max Anstie fell which led to a crash from Cairoli. A mistake from Paulin then allowed Desalle back past and into 2nd but Gajser took the spot quickly. Coldenhoff was also on a charge from 10th passing Bike It DRT Kawasaki’s Tommy Searle followed by iFly JK Racing Yamaha’s Ivo Monticelli and finally Wilvo Yamaha Official MXGP’s Shaun Simpson to take 7th. 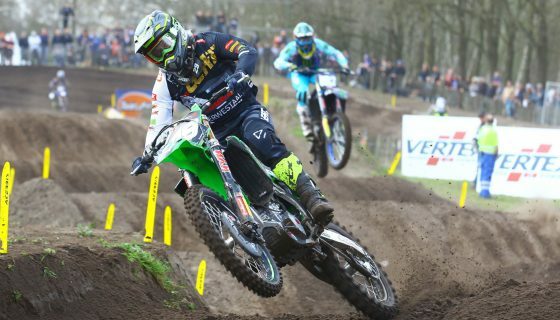 Anstie continued to struggle but Paulin fought to hold 4th from the attacking Swiss rider Jeremy Seewer. Cairoli who at one point was back in 19th worked forward only a few spots to finish 15th. At the front Herlings came under pressure from Gajser on the last few laps but responded to the intensity of the #243 well reopening a gap and winning by 4.6 seconds. Desalle took 3rd with Paulin and Seewer rounding out the top 5. The only difference between the race 2 finish and the overall result was Van Horebeek in 5th with a single point more than Seewer. 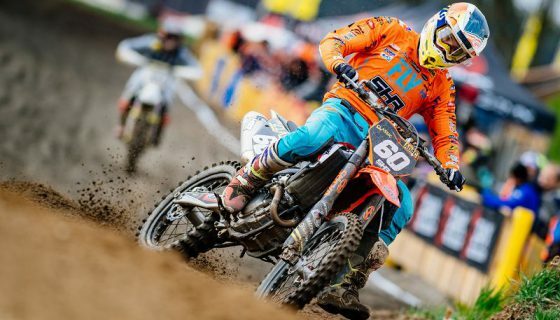 Herlings now leads the championship by 95 points heading into the MXGP of the Netherlands at Assen in 2 week-time. Jeffrey Herlings: “It was really awesome, the track was pretty nice, I was surprised because it developed really well. I think the organization did a good job and it was a good weekend. I’m so close and I have worked so hard so the next 2 weeks are going to be tough and I can’t wait for Assen. 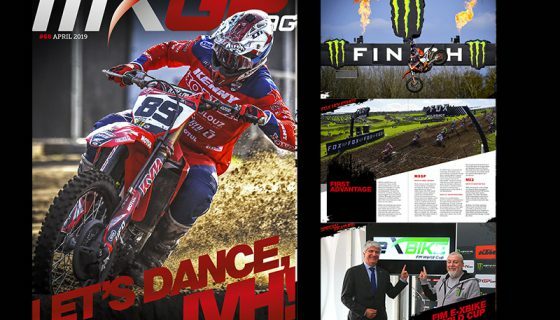 MXGP Manufacturers: 1. KTM, 897 points; 2. Kawasaki, 638 p.; 3. Yamaha, 624 p.; 4. Honda, 606 p.; 5. Husqvarna, 572 p.; 6. Suzuki, 261 p.; 7. TM, 227 p.
While MXGP racing was dramatic on its own the MX2 class was just as epic as the two title contenders of Pauls Jonass and Jorge Prado from Red Bull KTM Factory Racing spared off while Rockstar Energy Husqvarna Factory Racing’s Thomas Covington took the win. Race 1 started perfect for Covington as he scored a long desired Fox Holeshot over Prado. Jonass took the lead from Covington at turn 2 however and Prado was right alongside to add extra pressure. Honda 114 Motorsport’s Hunter Lawrence jumped past Kemea Yamaha Official MX2 Team’s Ben Watson in a close move to take 4th as Rockstar Energy Husqvarna Factory Racing’s Thomas Kjer Olsen and STC Husqvarna Racing’s Henry Jacobi fought over 6th. Prado was trying on many occasions to pass Covington for second and the American was only able to keep the #61 at bay for the first lap and half. As soon as Prado took 2nd he had his sights set on the win and beating his teammate Jonass. Team HRC’s Calvin Vlaanderen crashed hard at the end of the pit lane straight while in tenth but was lucky to get back up in 16th uninjured. 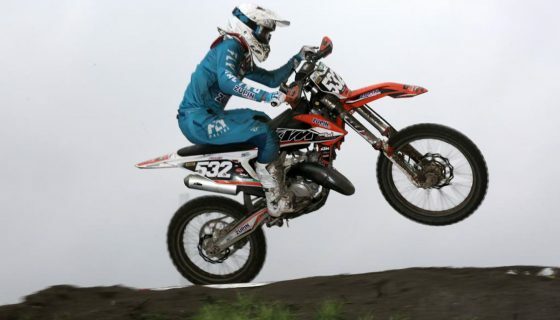 A battle ensued for the lead between Jonass and Prado peaking when Prado dove past Jonass who jumped and landed on the rear of points leader’s bike sending the Latvian down hard and Prado off track. Jonass remounted and rejoined the race in 6th while Prado came back on track in 3rd. Inheriting the lead and 2nd place was Covington and Lawrence. At the finish Covington took the race win followed by Lawrence, Prado, Watson, Olsen, and Jonass. The first race put Jonass another 5 championship points back of the 30 Prado led by coming to Afyon. Another Fox Holeshot from Covington started race 2 with Watson 2nd, Prado 3rd, and Jonass 4th. Jonass made 2 quick moves in the first turns to get past both Prado and Watson for 2nd. Lawrence then passed Prado for 5th and the Spaniard continued to drop positions to 7th. Covington rode a solid race at the front while Jonass tried to force an error and with 4 laps to go Covington tucked the front end on a roller. The mistake gave Jonass the lead and Olsen 2nd while Covington got up in 3rd. The top 10 held their positions for remainder of the race which meant a win for Jonass followed by Olsen, Covington, Watson, and Lawrence. In the overall Covington took the GP victory for the first time this season with his consistent 1-3 finishes over Jonass and Olsen. The points gap which started as 30 then went out to 35 is now 24 and Prado still maintains the red plate with the 3-7 finishes as the championship heads to Assen. MX2 Manufacturers: 1. KTM, 868 points; 2. Husqvarna, 730 p.; 3. Honda, 624 p.; 4. Yamaha, 612 p.; 5. Kawasaki, 410 p.; 6. TM, 119 p.